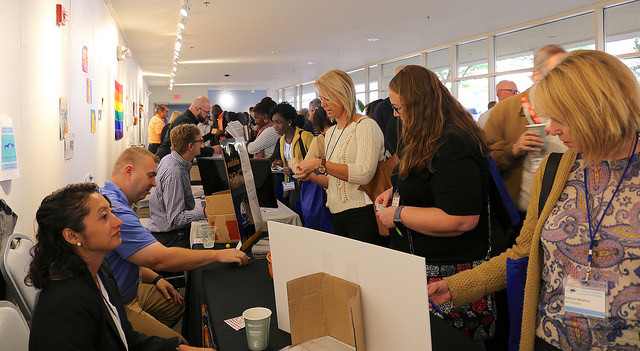 October 18, 2018, nearly 700 participants, speakers, volunteers, and vendors spent the day sharing information with and learning from each other at the second ConnectCarolina User Conference. We were able to record many sessions and they can be accessed by clicking the buttons below. When you click the session name, you will see the presenter’s name, a brief session description and two buttons, View the Recording and Open the Slides. Not all sessions were recorded, or there may be a delay in uploading the content. In those cases, it will be noted directly below the sessions description. The goal of this session is to facilitate a meaningful group discussion for Business Managers and/or their designees on current topics of interest at the University. These topics could include but not limited to changes in PCARD use, Closing of Imprest Checking accounts and use of BofA Reloadable Cards, OSR Prior Approval Request Forms, Reserach Recharge Center Compliance, Research Admin Training for Staff, Navigating OIC, closeout of projects, and RAM Tracker Transparency project. We will pole participants either prior to or at the beginning of the session to determine what topics people would like to discuss. Cash Advances - Journals Turned Down For What? In this session, we’ll look at the common reasons why your finance transactions, such as purchase requisitions, vouchers, and journals get errors. We’ll show you queries to identify those errors and suggestions for fixing the errors. In this session we’ll discuss what ledgers are and the differences between the GL Actuals ledger and the Commitment Control (KK) ledgers. We’ll show you how your finance transactions move through these ledgers and what that means for reporting. Alexander Hoppe, CISDE Training Generalist, UNC Finance and OperationsThis workshop is a basic introduction to PivotTables and VLOOKUP functions in Excel. It is intended for employees who have little to no experience creating PivotTables and who are already somewhat comfortable using Microsoft Excel. We will cover: How to format data for a pivot table; How to create a pivot table; Additional PivotTable Features; How to use VLOOKUP.This session was not recorded. Robin Burke, Business Systems Manager, ITSThe Finance business analysts spend their days digging deep into the parts of ConnectCarolina they configure and support, so they know the systems better than anyone. Bring your hard questions to this session, and the panel of business analysts will put their heads together to get you answers. Security, Workflow, Purchasing, Payments, Grants, General Ledger, Budgets, Deposits, and more—you have questions, the business analysts have answers!This session was not recorded. How many of these questions can you answer? What is a trust fund? Is there more than one kind? Where do we get the money for a trust fund? How is a trust fund different from other types of funds? Does a trust fund use cash,budget,both, or none of these? What is ABC and AB? Come to this session to find out the answers to the questions above and much more. What is a salary projection? What are salary projections used for? Is it different for SHRA and EHRA? What if an employee’s salary is paid from State funds and Grant funds? These are all important questions and during this session, Jackie will focus on the three factors used in calculating salary projections: Employee Group, Funding Sources and End Dates. This session content is also available on ccinfo.unc.edu as a recorded webinar hosted in April 2018. 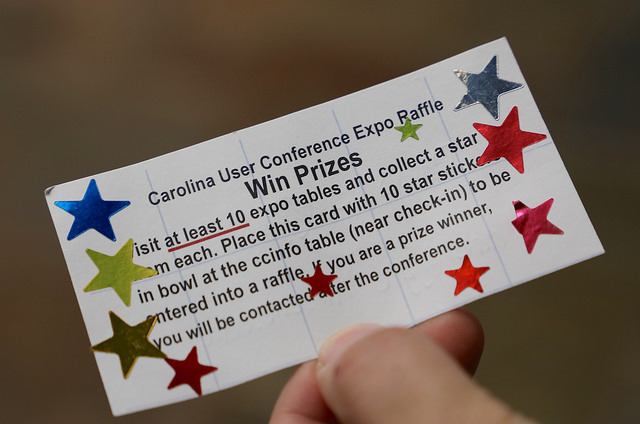 This session will cover the path that transactions such as campus vouchers, campus/GL journals, budget journals, and purchase requisitions take through the ConnectCarolina system. Understanding the steps that move a transaction from started to completed helps you understand when the transaction shows up in InfoPorte, how and when charges update your budget, and when they are posted to the General Ledger. This session is useful if you’re new to ConnectCarolina and also if you’d like to understand the paths transactions take considering the recent changes to the system. What Happens When You Need to Change A Purchase Order? Mark Sillman, Associate Director, Purchasing ServiceIt happens. The purchase order is created and then it needs to be changed. What do you do? This session will focus on working with change orders, and how to handle outstanding encumbrances (including PO’s funded with OSR funds and ePro orders).This session was not recorded. What is the average pay by job classification for faculty by Department within the School? Can you give me the top ten individuals that received overload payments in the last fiscal year? How many faculty are currently funded by 50% on research funds? This session will define RNF, discuss the implications when using RNF, as well as how to process RNF through ePars. Recommended audience: anyone who processes ePar transactions for Postdocs/Clinical Fellows (Hire/Edit Existing Job/Fund Swap); PAAT users who want to understand more about RNF (session will not address PAAT transactions specifically). 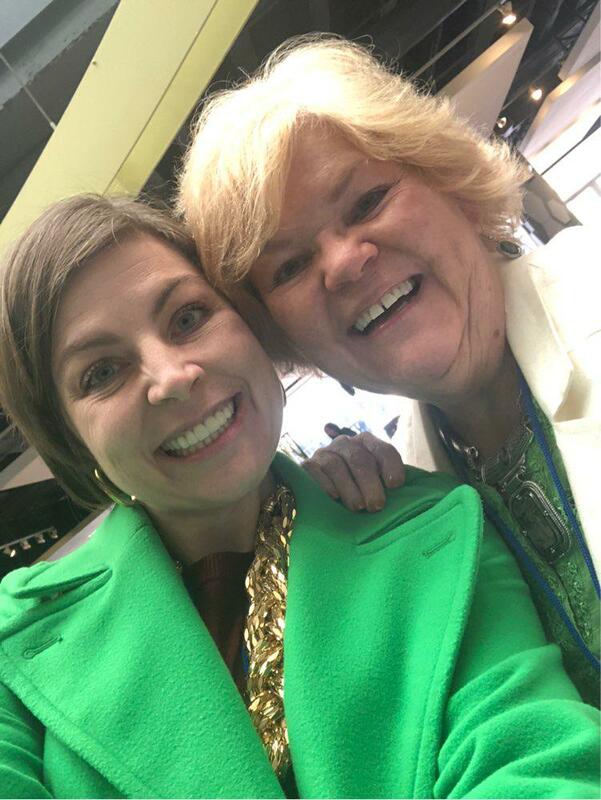 Pope Tonya, HR Business Analyst, Office of Human Resources, HR Information ManagementHave you ever submitted an ePAR, but have difficulty finding it again? Are you tired of entering the same search criteria over and over because you can’t select from your previous ePAR search results? If so, let the HR Business Analysts share their tips and tricks on searching for ePARs!We’ll have the slides and recording up in two weeks. Please check back then. 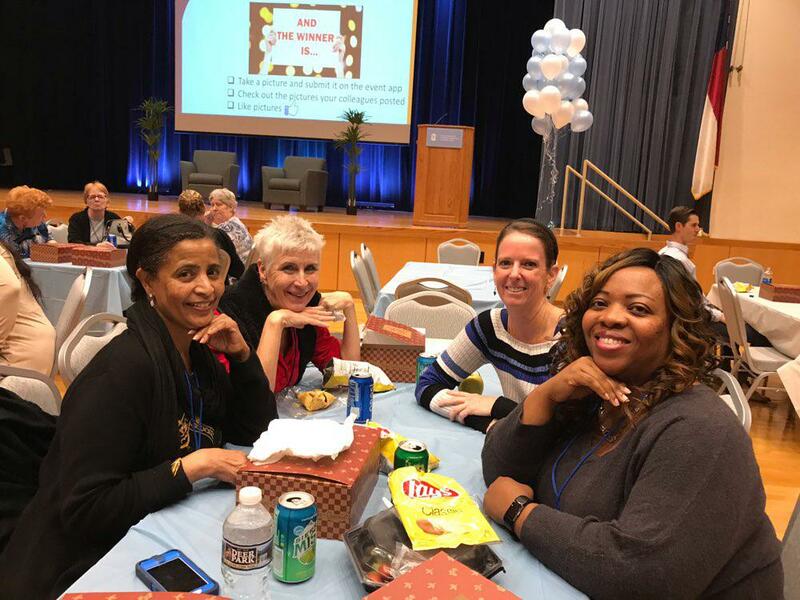 Amanda Riebold, Commitment Accountant, Payroll ServicesPanel Discussion:This session will answer any questions you have about payroll distribution, or redistribution, at UNC. 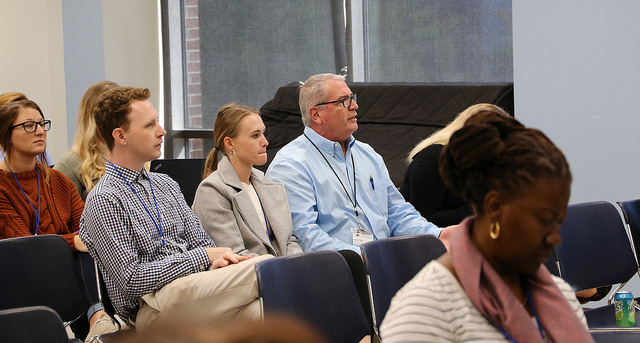 The panel will feature business analysts from the ConnectCarolina Finance team and Payroll Services to provide expert insight and tips.This session was not recorded. 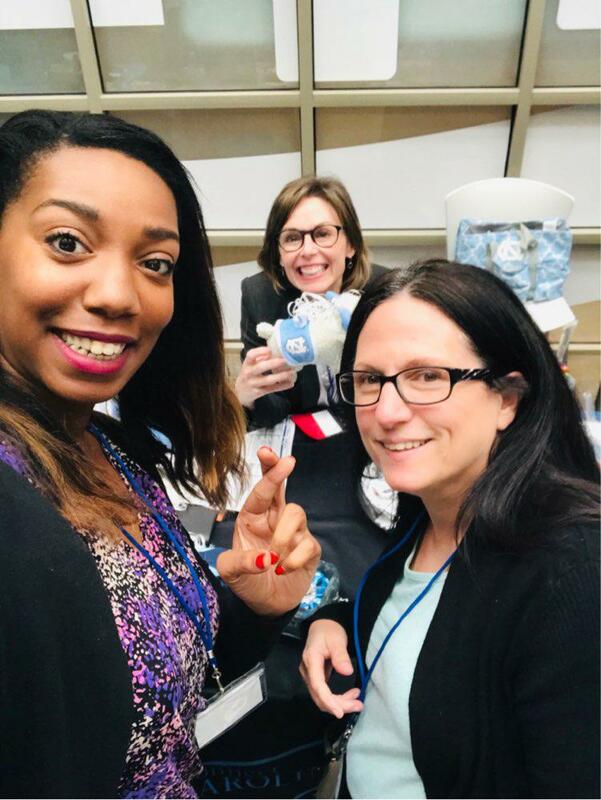 Jessica Fleming, Assistant Dean of Human Resources, UNC-Chapel HillBirds of a Feather: these sessions are more informal and provide an opportunity for attendees with a shared interest to connect with each other. There will be a facilitator but the direction of the discussion is set by the attendees.This session was not recorded. Caitlin Webster, Human Resources Business Partner, UNC College of Arts & SciencesIn “Tricky Transactions in ConnectCarolina,” we will walk through a few complex HR actions in ConnectCarolina while providing best practices, tips, and tricks for practically entering into the system.We’ll have the slides and recording up in two weeks. Please check back then. Starting a new position is stressful and learning a new system at the same time can be all the more overwhelming. Join Cortney Alston of UNC-Chapel Hill’s Finance & Operations team as she provides insight on how to get the most out of onboarding new employees to PeopleSoft. 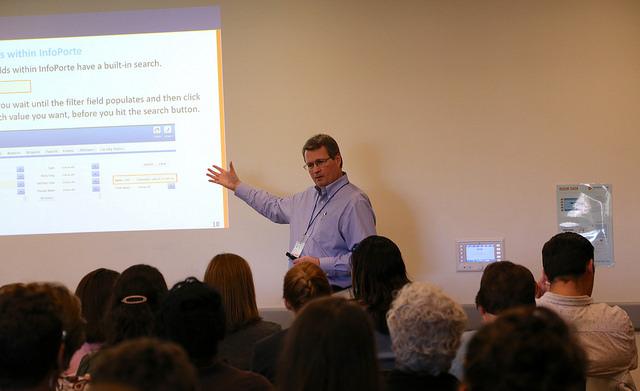 New employee orientation often includes training on the organization’s policies and procedures as well as PeopleSoft. This session describes how the Finance & Operations team leverages best practices and current trends to increase engagement, retention, and improvement of PeopleSoft orientation training for staff in new Finance roles. This session will allow you to connect with ARCs from across the University, ask questions about the process, or even just pick up tips and tricks for submitting requests. Who: Any administrative user who has the need to upload attachments in their work. What: The Document Management team will review some ‘tips and tricks’ that may be helpful in determining what scanner settings to use when creating documents (if you are scanning). We will look at which settings ensure the document is optimized in size and visual clarity. Will also show the same documents, scanned with different settings to demonstrate the options and implications of what might be used. This session should be beneficial regardless of which system you use! This session provides an overview and background of the development of the Faculty Portal. The Faculty Portal is a comprehensive portal developed specifically for faculty utilizing PeopleSoft’s “Fluid” technology. In addition to the background information a demonstration of the portal will be provided. 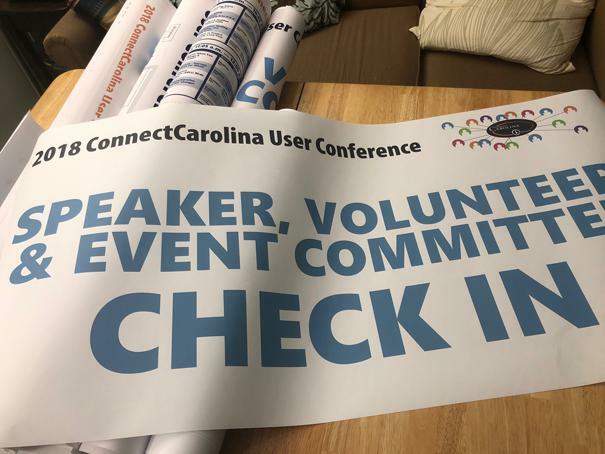 Come to this session to see a preview of the new “look and feel” for ConnectCarolina that is coming your way in December. 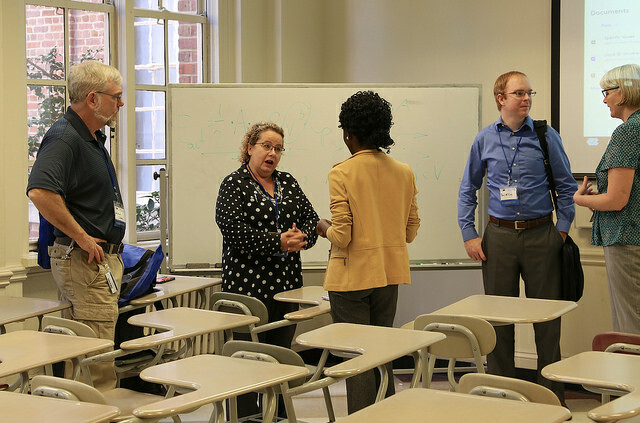 This session is of interest to anyone works in ConnectCarolina except faculty members, who already have the new look and feel. The coming changes allow the ConnectCarolina team to tailor the home page to groups of users, such as all students or everyone who works with HR content. The changes also pave the way for a more mobile-friendly and easier-to-use navigation in the future. Are you mystified by data? You don’t have to be! And you don’t have to be an analytics wizard to realize value from data. We generate and interact with multitudes of data everday. There are very simple ways to gain insights into that data with tools that you work with on a daily basis. It doesn’t have to be hard to be valuable. This panel discussion will focus on the tasks and topics that are most important to you. We’ll send you a questionnaire in late September so that you can work with the panel to set the agenda. There were technical difficulties with the recording. We are reaching out to the presenter to see if we can re-record this session. Please check back in two to three weeks. 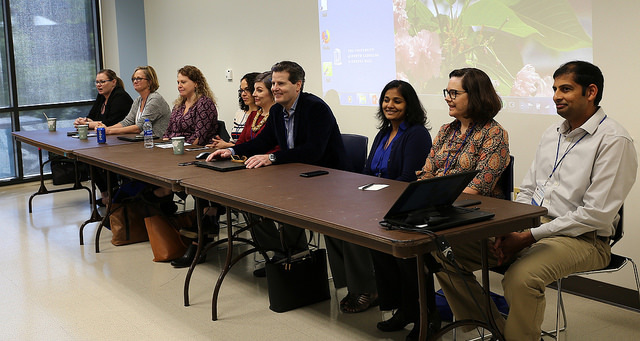 The Curriculum Inventory Management system, aka “CIM” (pronounced “Kim”), is the University’s new tool for submitting and reviewing course proposals. 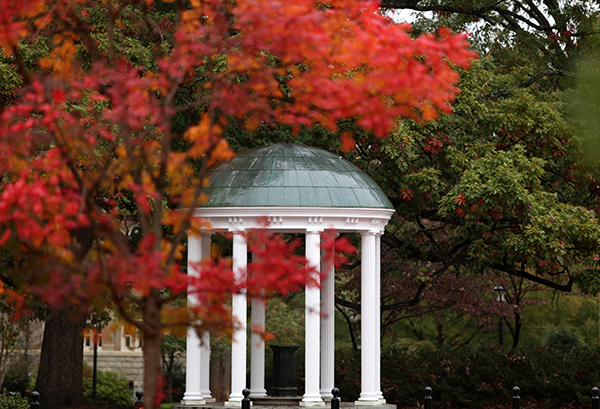 CIM integrates with both the University Catalog and ConnectCarolina. This session will take a closer look at the course form, workflow, and the approval process. We will discuss new features available in CIM including request rollbacks, reporting, and course number changes. Additionally, this session will highlight advanced features that will be available in future years, including parallel workflows and voting tools for department-level curriculum committees. 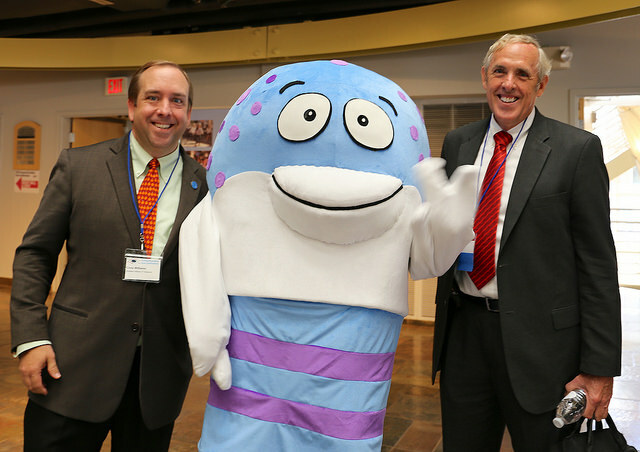 Learn more about CIM so that you can promote this new tool to your faculty and staff. 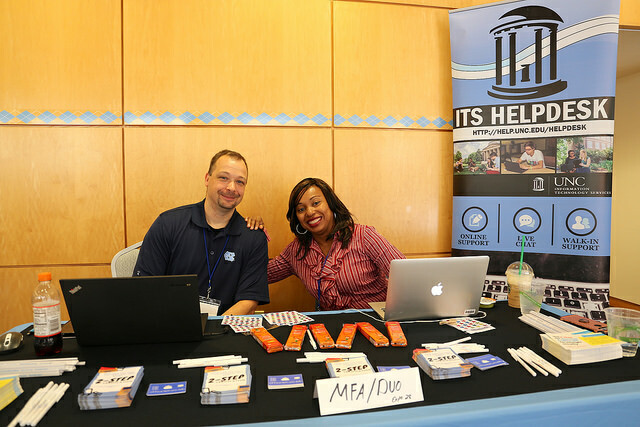 How Student Center and the student experience in ConnectCarolina is changing. Designed and developed exclusively for higher education admissions Slate handles online applications, online reading, and online decisions ensuring that every aspect of the admissions process benefit. With a few easy steps you can review and manage all interactions, communications, applications, test scores, relationships, and materials, in one comprehensive area. More than 1 billion email and text messages are sent through Slate each year. Plan and organize travel, schedule events with customizable templates, and automate communications and reminders to prospective students, registrants, and affiliates. This session will cover a wide range of topics to help Student Originators manage the life cycle of student employees. We will cover Position Management, Pre-hire and Hiring process, Job Changes, Short Work Breaks, Managing Expected End Dates/Terminations as well as some helpful pro tips to making these HR processes run smoothly. 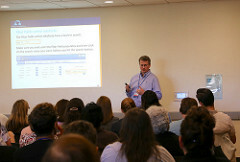 InfoPorte Student Reports is the go-to tool for campus users for gathering student data. But learning to use the tool can be over-whelming. Not to worry! This session will cover how to pull data from the three main InfoPorte Student Records reports: Term Enrollment, Degree Candidates, and Degree Recipients. I will explain all of the fields and buttons on the screen, as well as “Best Practice” methods for getting all necessary data. From deciding which data fields to select to exporting the results, I’ll provide a step-by-step process that’s easy to follow. If you’ve never tried to use InfoPorte or even if you have, but gave up, have no fear! I’m here to help. “You got this”! This session was canceled. We are reaching out to the presenter to see if we can record this session. Please check back in two to three weeks.